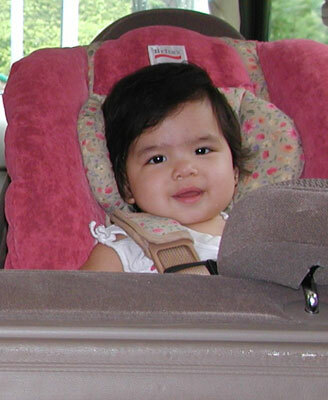 Haley rear-facing in the Britax Decathlon at 1 year, 3 months old. Haley weighs 24 lbs and is over 30 inches tall. 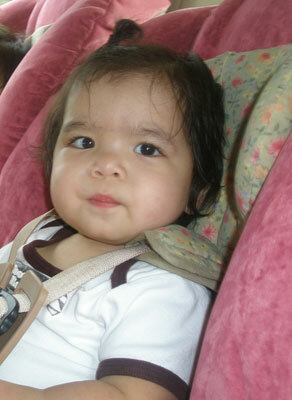 Haley rear-facing in the Britax Decathlon at 1 year, 1 month old. Haley weighs 25 lbs and is 29 inches tall. 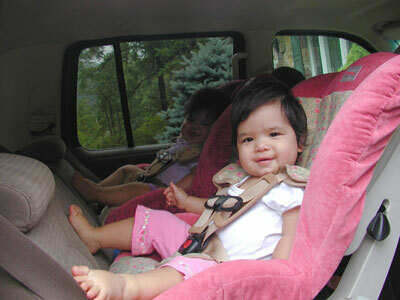 Haley's twin sister Autumn (background) is also rear-facing.